The real estate industry is one big maze. Economic conditions, changing demographics and interest rates play an important role in how profitable the market is for the seller or the buyer. Prices can shift dramatically in a year’s time. There are a few tips that will always be helpful, no matter what the market conditions are. Values fluctuate a lot for real estate, mainly due to broader economic conditions or local supply-demand dynamics. Whether you are selling a property or buying it, do your own research and make use of numerous resources before coming to any conclusion. A buyer would always look for a price within his or her budget, while the seller has a target profit in his or her mind. In any case, you can only come to a common agreement when there’s a negotiation. If you keep turning down the offers, you may end up with something worse. The value of real estate keeps moving up in a majority of cases, and if your research and insight is strong, you do not need to make any rushed decisions. Have the patience to buy and hold and sell it at the right time. Irrespective of the market conditions and the interest rates, a good location will always have strong demand. Such an area has everything from transport infrastructure and medical facilities to schools and offices. Investing in these types of locations will make you a winner in the long run. The real estate industry is not just about the property buyer and the seller, but it also includes the involvement of licensed NJ real estate agents. 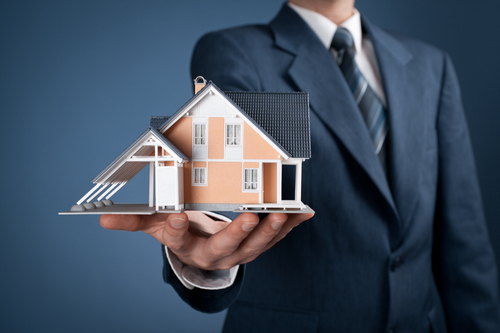 It is very important to find trustworthy individuals to work with when it comes to real estate investments. Even in poor market conditions, the chance of selling a well-maintained property is higher. Buyers are automatically attracted to a house that is ready to move in, as compared to those that require extra work. During real estate winter, buyers can be quite selective, and this is when good properties sell faster. There’s an old saying in the real estate market; You make a profit when you buy a property and not when you sell it. You need to be selective about your purchases. You shouldn’t be afraid of walking away from a deal, especially if it doesn’t suit your requirements. Sometimes, sticking to your principles is the best investment you can make. Gone are the days when people used to buy or sell property via ‘word of mouth’. The Internet has now made things easier with just a push of a button. Buyers and sellers can get all the required information, however expert knowledge can only be acquired from a local real estate agent. Looking to buy a property in New Jersey? Check out our latest real estate listings today!